On the drying turf of the New Forest, England scored a home win in the Senior Home International for the first time in 8 years. This was the 25th anniversary competition against Ireland, Scotland and Wales and as hard fought as ever with twists and turns throughout the two days. 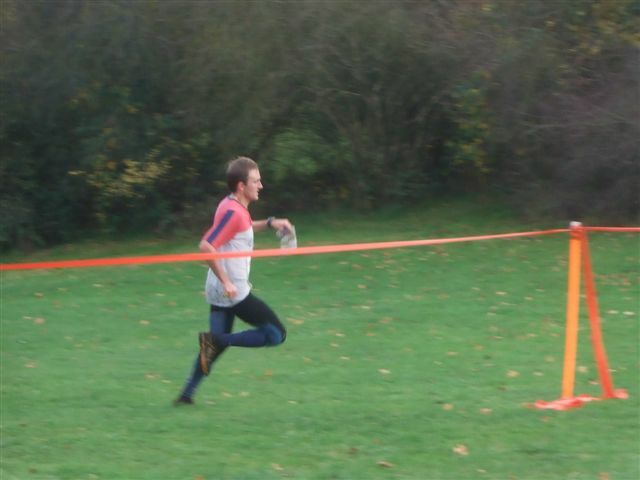 The SHI Relays were held in Pamber Forest, in deepest south Berkshire. Each nation can enter 3 teams in both the men’s and women’s races with 2 to count, and each team comprises one 20 and two 21s racing over three equal length laps. The combined BADO and BAOC organising team had set up an assembly of National event standard quality, complete with the impressive EMIT finish arch, courtesy of EMIT UK, under clouds which seemingly couldn’t decide whether to spit rain or open to let the sun through. Eleven teams toed the start line in the men’s race with muted anticipation disrupted by spectators’ cries of encouragement as the start klaxon sounded. Exactly on cue 40 minutes later Nick Barrable for England stamped the last control with not the blue and white saltire for company but the red and green of Richard Barrett for Wales who had successfully kept right in touch. The first Scots team followed, down by a minute, and then Matt Halliday for England led ahead of a bunch of all three Irish teams, two Scots teams and Joe Mercer, England 1’s lead off man. Peter Hodkinson, Graham Gristwood and Mark Nixon (for Scotland) competed for the lead on Lap 2 with Graham recording the fastest time by 3 minutes to hand over seconds ahead of Mark with Peter now a minute down. With his advantage only 24 seconds Matt Crane was set for a head to head with the top M20 in the country: Ali McLeod. 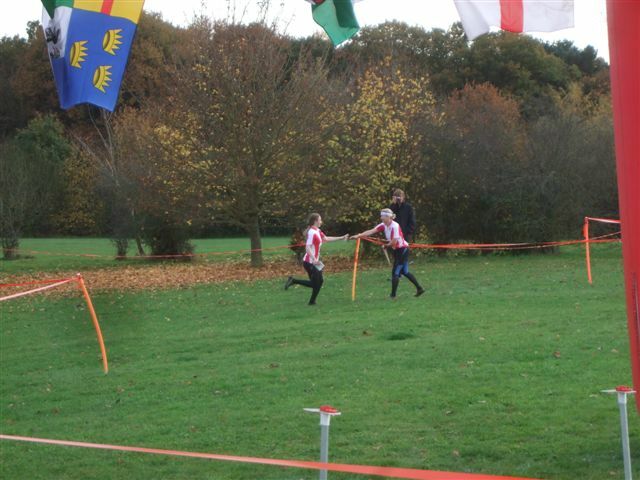 Probably not relishing the idea of a sprint finish, Matt pushed hard but a miss let the chasing Scot through to win. Ian Nixon, running the last lap for England 2 consolidated in third place, and the remaining Scots teams trailed in 5 minutes down. The Irish and Welsh teams all had weaker second leg runners but by the end the Irish secured the fifth and sixth counting spots ahead of Wales. The women started 10 minutes later with the W20s all leading off for England and two of then, Rebecca Harding and Charlotte Watson returning first, clear ahead of Heather Burrows for Wales and Hazel Wright and Janine Hensman, both for Scotland. Helen Bridle, in the fastest run of the day, established a comfortable lead on the second lap ahead of Helen Gardner, England thus filling the top two slots with the Scots teams adrift and Wales dominating the Celtic battle. The top GBR elites Pippa Archer and Sarah Rollins duly and safely anchored the leading England teams home to ensure maximum points while further back first Tessa Hill and then Karen Poole made up a significant deficit to finish ahead of all but the top Scottish team. With all teams, men and women, in the team scores gave England a 4 point advantage to carry forward to the individual day whereas Wales had but a slim single point margin over the Irish. The heavens opened overnight but the day dawned clear and crisp for the short trip across the New Forest from the Sandy Balls holiday camp to the venue for the individual races: Ocknell and Slufters Inclosures; terrain described as: “Typical New Forest plantations &amp; hillsides of open forest and heath. Fast.” It was a confident England team who made their individual way to their early starts, conscious that a sound performance should win England the SHI Trophy for the first time in 3 years. A very strong English contingent dominated the 12km W21 race claiming 5 of the top 7 places, led by Sarah Rollins and Helen Bridle. However in the W20 class the Welsh girls Becky Hoare and Anwen Darlington mixed it with Hazel Wright who won for Scotland pressed by Rebecca Harding for England. With 2 to count Scotland had 1st and 6th; England 2nd and 5th and Wales 3rd and 4th: a three way tie on the 10km ‘Short Brown’ course. With the English M20s weakened by injury, the Scots won that class, Ali McLeod recording an mpk pace which would have earned him 3rd on M21, if he could have kept it going for 4kms more. Pete Hodkinson and Welshman Kris Jones completed the top 3. Dave Abrams closed in the England duo, minimising the Scots gain. 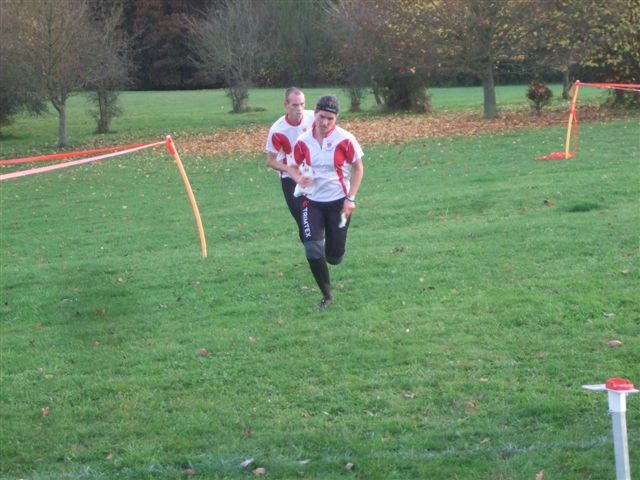 The Scots M21s are always strong but this year the English were stronger with Graham Gristwood and Matt Crane leading the way split by a mere 30 seconds after 81 minutes: 4:42 mpk! Local boy Ian Nixon (England) gained bragging rights over brother Mark (running for Scotland) by 2 minutes and Nick Barrable, who had flown over from Sweden to compete, closed in the counting English 4, just ahead of Ralph Street, running up a class. The points table below shows that accordingly, England won both days and Wales beat Ireland. All those competing in the SHI owe a debt of thanks to Allan Farrington and Tom Murphy (BAOC) who organised the relay, and Andy MacGregor (BADO) who planned it; to Simon Bevan and Brian Watkins (SOC), organiser and planner of the individual courses and the wider November Classic; to the members of BAOC, BADO and SOC who volunteered their time to make it happen; to Jerry Newcombe who handled the entries and produced the speedy results both days; and to the SHI coordinator, Mike Bray, Chairman of South Central Orienteering Association, the host region. The 2011 Senior Home International is to be hosted by Wales and has been scheduled for 22-23 October in Glamorgan. The next England international match is the Interland Cup in Germany on 6 March near Lübbecke.